The induction ceremony for the Rock and Roll Hall of Fame took place Thursday, April 18, in Los Angeles. Some of this year’s inductees included Heart, Randy Newman, Rush and Public Enemy. Public Enemy is only the fourth hip hop band to be inducted into the Hall of Fame. And along with rappers Chuck D and Flavor Flav, a Kansas City-based composer and master’s student at the UMKC Conservatory of Music and Dance, Kerwin Young, shared the spotlight. Kerwin Young was born in New York, and grew up in Roosevelt, Long Island. Public Enemy’s lead rapper Chuck D lived just around the corner – and it was in this neighborhood that Young was introduced to their hard, hip hop sound. Young had been DJ-ing since his early teens and told some friends about his records; they took him to Public Enemy’s studio. And that’s where, at age 17, he met the Bomb Squad, Public Enemy’s production team, who layered sounds, music and spoken word, sirens and scratches. For the next few years, Young spent time at the studio as an apprentice, “getting the guys potato chips, Chinese food,” or just watching and learning. Young continued to produce or perform music on records – working with Public Enemy and other artists, like Ice Cube, the James Brown Band, and Mobb Deep. He’s also written music for films (“Sister Act 2,” “He Got Game,”) and for television (“New York Undercover,” “Flavor of Love 2”). About a decade ago, he started composing for orchestra – and to hone this craft, he’s now studying composition at the UMKC Conservatory of Music and Dance. He earned his bachelor’s in 2012 – and he’s working on a Master of Music degree. Studying with faculty members like Chen Yi and Zhou Long, he started writing for Chinese instruments, such as the pipa and erhu. “I’ve been able to meet other students who play some of these instruments,” says Young. “It’s a great challenge and I enjoy it. His future plans include teaching composition and orchestration at the college level. But, for now, he says, he’s taking it slow, spending time creating – and getting his own name and his own work out there. 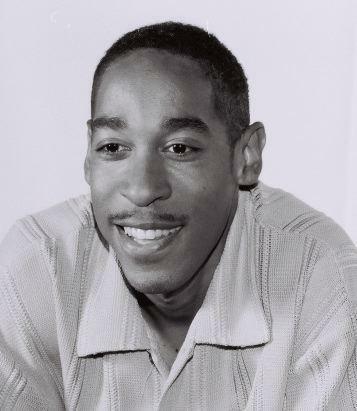 UMKC Conservatory student Kerwin Young joined the hip-hop group Public Enemy in 1989. On April 18, Young and the rest of the group will be inducted into the Rock and Roll Hall of Fame. KANSAS CITY, Mo. – When Kerwin Young became a producer for a small hip-hop group in 1989, he figured their politically aware, hard-hitting lyrics would, at best, become popular in the group’s Long Island, NY neighborhood. Today, after more than two decades of worldwide fame, the University of Missouri-Kansas City student smiles at his miscalculation. That small hip-hop group was Public Enemy. On April 18, Young and the rest of the group will be inducted into the Rock and Roll Hall of Fame. Young is currently working on a Master of Music degree from UMKC’s Conservatory of Music and Dance. He earned his bachelor’s degree from the Conservatory last year. Of course, the political, consciousness-raising songs weren’t universally accepted. For Young, that’s what makes the induction even more incredible. “Going from receiving death threats to then being accepted and being inducted into the Rock and Roll Hall of Fame is just amazing,” Young said. Young started as an apprentice with Public Enemy when he was 17. By 1989, he was a more formal part of the group – part of the production team known as the Bomb Squad. 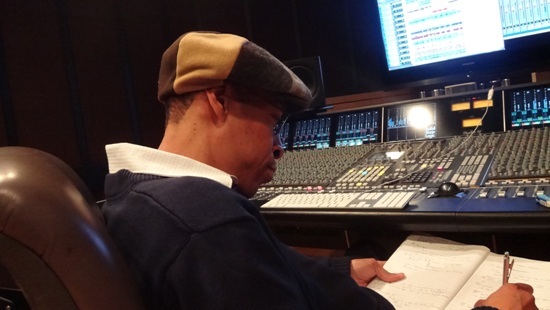 Over the years, Young has done everything from composing to mixing Public Enemy’s “rap-metal” sound. But it isn’t just about the music. Young believes that nurturing and encouraging younger artists has been as much a part of Public Enemy’s legacy as their consciousness-raising lyrics. “There are a lot of people who came up through the group and learned, and we’ve made them aware of their rights as artists,” Young said. More recently, Young has honed his craft at UMKC, where he studies composition. He has had work read by the Kansas City Symphony and is a composer-in-residence with the Midwest Chamber Ensemble. “I have never seen anyone work so hard, so consistently and graciously as Kerwin. From the get-go, he was incredibly focused and hard working,” Paul Rudy, professor with the UMKC Conservatory, said. The University of Missouri-Kansas City, one of four University of Missouri campuses, is a public university serving more than 15,000 undergraduate, graduate and professional students, and celebrating its 80th anniversary in 2013. UMKC engages with the community and economy based on a four-part mission: life and health sciences; visual and performing arts; urban issues and education; and a vibrant learning and campus life experience. For more information about UMKC, visit www.umkc.edu. You can also find us on Facebook, follow us on Twitter and watch us onYouTube. This information is available to people with speech or hearing impairments by calling Relay Missouri at (800) 735-2966 (TT) or (800) 735-2466 (voice).